We have a braid obsession going on in the Roy house. My daughter has reached that age when any tangible thing that can be braided is most certainly is. Much as I adore my daughter , her constant braiding of my hair was getting a wee bit annoying so decided to get creative and divert her attention from my poor tresses to braiding bread instead. It is too early to call this diversion a success but no such doubts regarding the bake. It was a resounding success based on the time it took my family members to finish the last of it . Patience is definitely a virtue while baking bread . Right from checking for bubbles to see whether the yeast is activated to proofing it twice till it doubles in volume ..haste is the enemy . But the end result is so worth it. Bread baking is extremely gratifying and therapeutic as well. You get the high of having accomplished the same which our ancestors have been doing for times immemorial. Origins of the bread have been traced back to the early Egyptians and was kept alive and thriving by ancient monasteries in Europe. If baking bread has piqued your interest, would definitely recommend reading 52 Loaves : One Man's Relentless Pursuit of Truth , Meaning and a Perfect Crust by William Alexander . Coming back to this particular recipe, which is most thoroughly enjoyed with tea ( hence the tea kettles) , I used the dried rosemary garlic version . By all means , you can try it out with just the herb ,omitting the garlic but I am always partial to the latter. 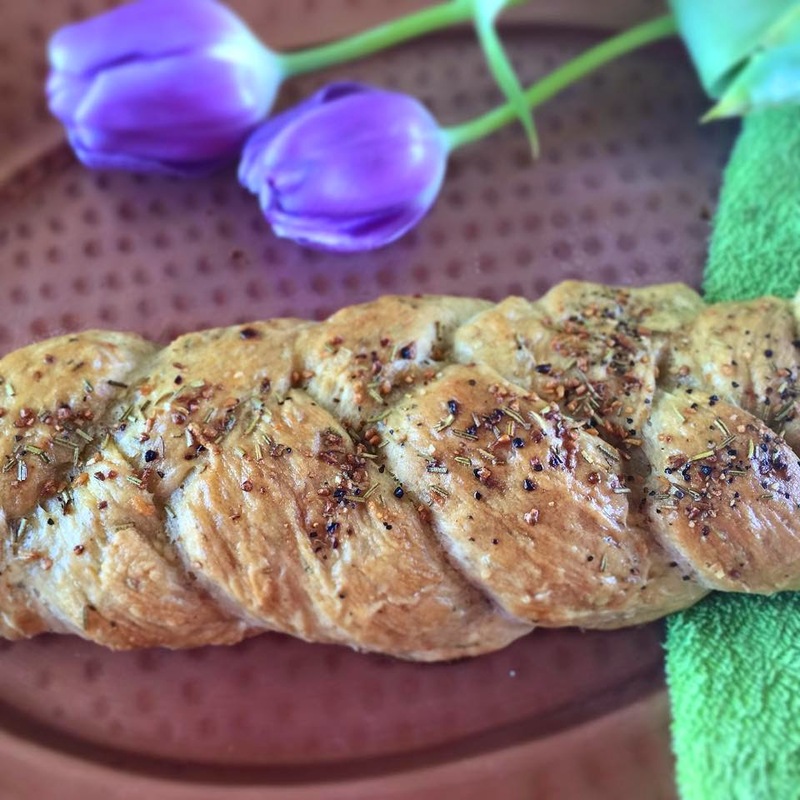 The dried rosemary went twice , first during kneading the dough and then before the bake, was sprinkled and pressed on purely cosmetic reasons. Again, if you are partial to sesame seeds , go ahead and sprinkle those instead . Would like to also mention that the recipe is for 2 loaves. All the better for it. Let's take a look at the ingredients . 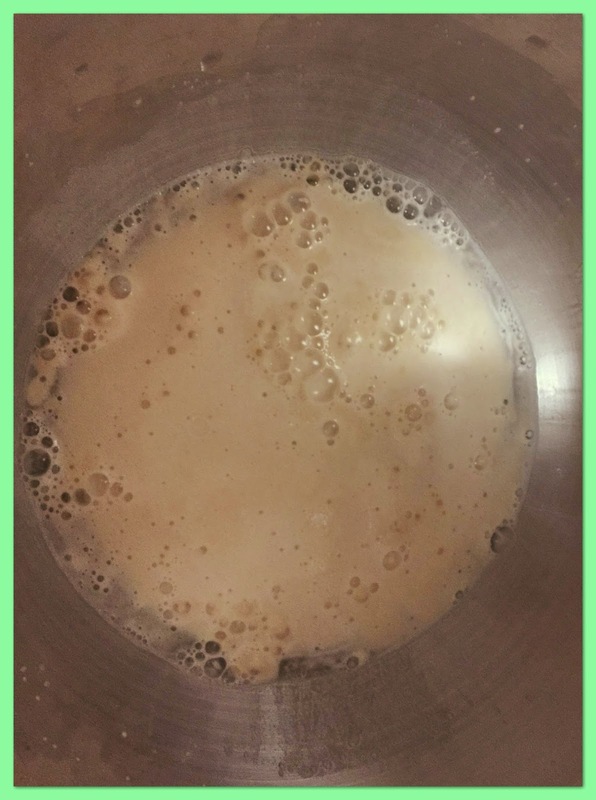 In a large bowl or your stand mixer one , add the water, sugar and yeast and wait till bubbles are seen. This might take a few minutes and helps to check whether the yeast is working. Now add the salt , olive oil , 2 tbsp of rosemary and 2 cups of flours. If using the stand mixer , attach the dough hook and knead for 7-8 minutes adding the third cup of flour slowly. If you don't have a stand mixer, not a problem. Simply put your muscles to good use and knead with your hands for 7-8 minutes . (Apologies for the picture quality of first two pics , didn't want to remove my stand mixer on account of it being bulky) .In the third, detached it and clicked in light ). Transfer the kneaded dough onto a greased bowl . Cover it with a damp cloth and keep it in a dark. draft free place for one hour or till it becomes double in size. See how it had doubled in size . Punch it down . Don't worry we will be proofing it again after we braid it. Transfer it to floured work surface and knead it again gently for a few minutes. 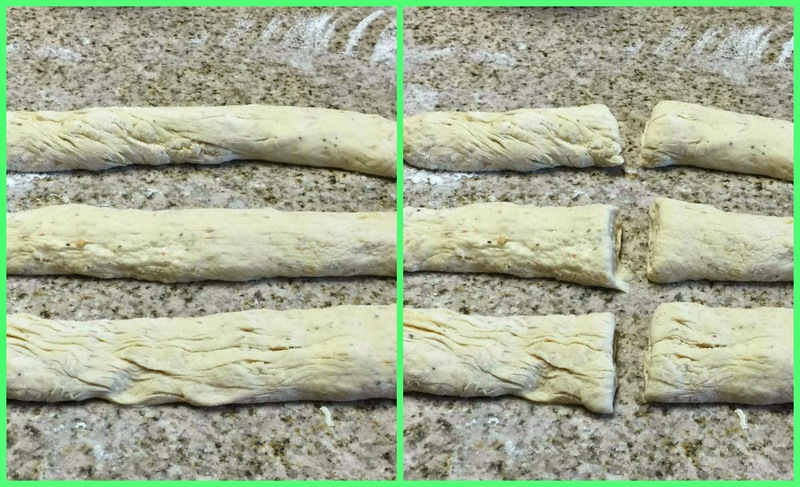 Divide the dough into 3 parts , roll them and then cut them in half. 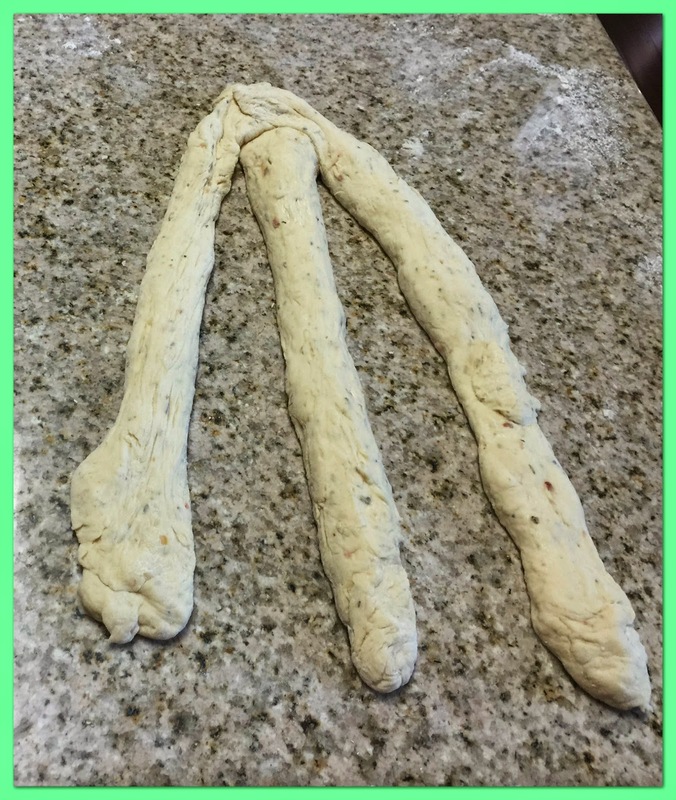 Remember , the recipe calls for 2 loaves ..we will be making 2 braids or 2 bread loaves using three strands each. Take one set of three halved strands and roll it further to make them longer. Fuse them at one end and start braiding as you would a three strand braid. This is how it should look like.Do the same with the other half and keep them both in a dark , draft free area for another rising. This could take 45 minutes to an hour. Now , mix 1 tbsp of water to an egg , mix well and brush it all over the braided breads. Sprinkle the remaining dried rosemary and keep it a pre heated 375 degrees F oven for 35 - 40 minutes . Check for doneness by tapping on the bread. You should hear a hollow sound. Take it out , brush it with butter and enjoy with tea or any other beverage of your choice.